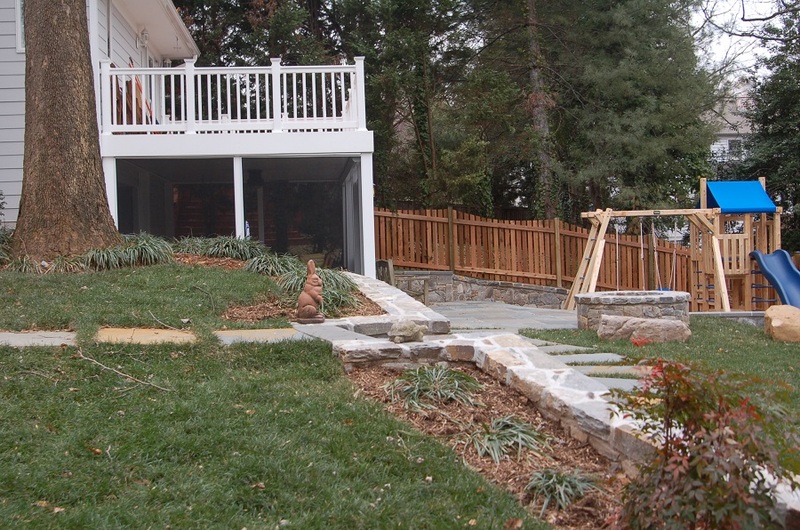 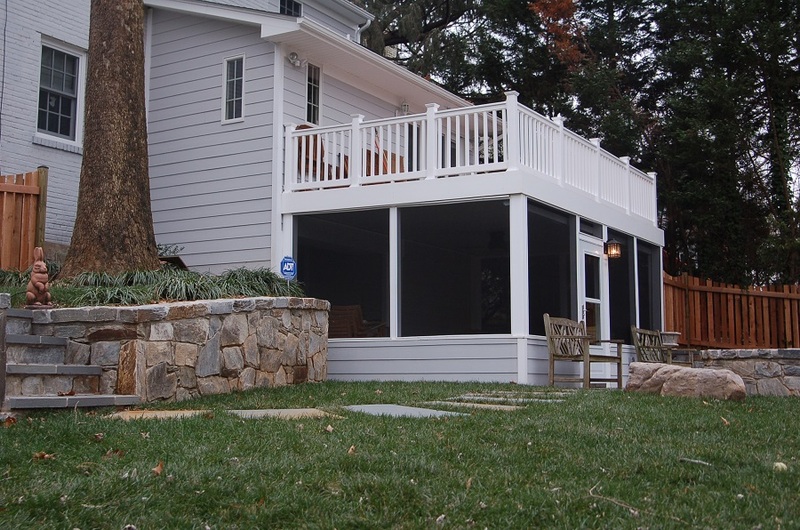 This custom deck, screened-in porch, and patio combination was built in Chevy Chase, Maryland. 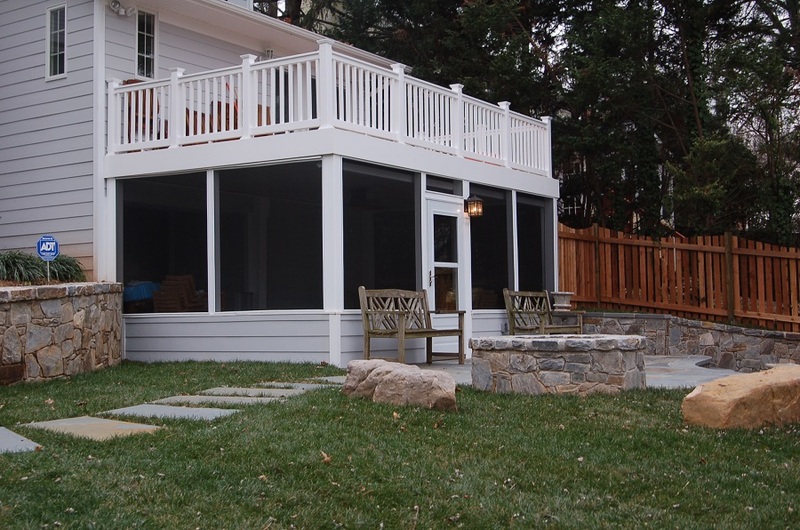 The screened room is located beneath the deck, a nifty design element that both added and conserved space in an otherwise confined area. 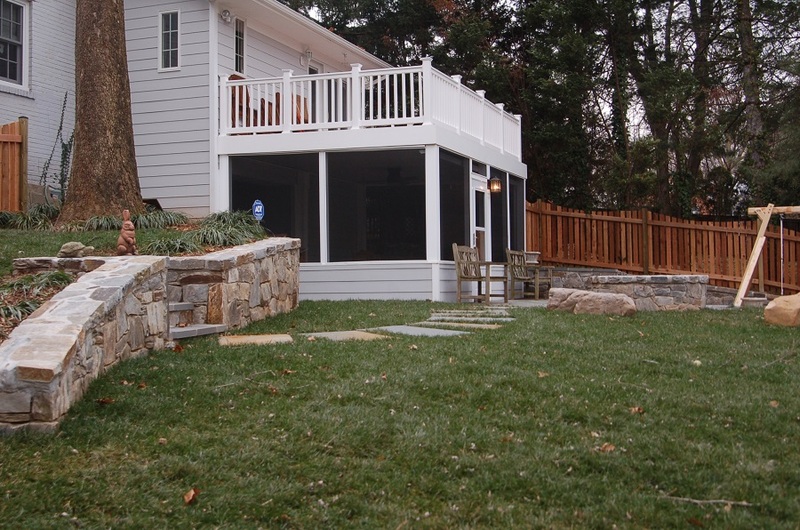 A water proof system is installed beneath the deck to to keep the screened porch dry.